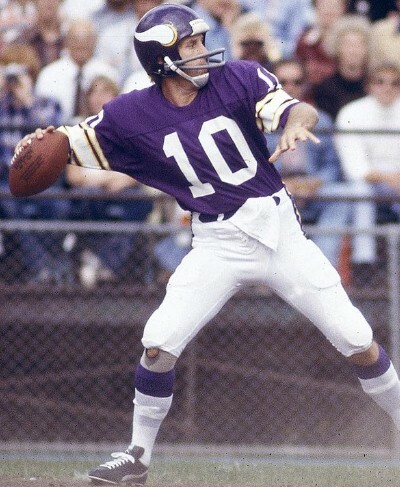 Fran Tarkenton, NFL Hall of Fame quarterback, and the founder of Tarkenton Companies. 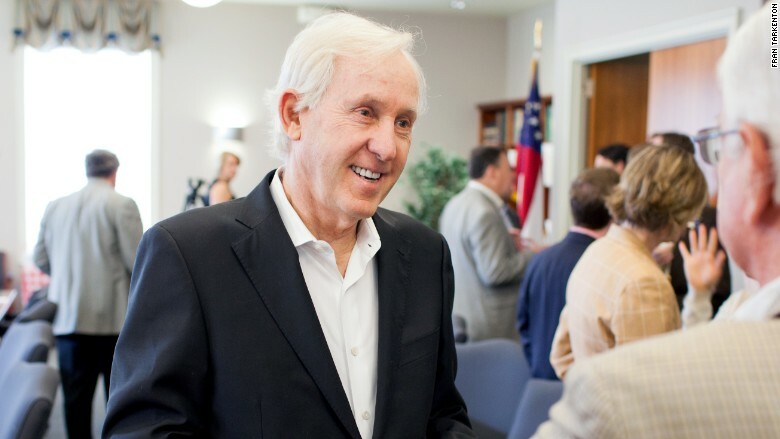 Fran Tarkenton is always looking for aspiring entrepreneurs. And when he finds them, there's a good chance the Hall of Famer will hand over a scholarship to the University of Georgia, his alma mater. It happened just last week in New York City. "I was staying at the Regency [Hotel] and talking to a young man who's a restaurant manager there," said Tarkenton, 75. "He's saved $100,000 and wants to start a small business." The course costs $850, and if the pricetag seems low, it is -- for a reason, said Tarkenton. "Initially we wanted to price it comparably with online business courses, somewhere between $12,000 and $15,000," he said. "But I said that was too much money for the people it's intended for." The program also offers a no-interest payment plan. The course, Tarkenton said, covers everything from developing an idea and building a business model to sales and marketing to legal issues and funding. It gives students direct access to the business school faculty. The program launched in April and aims to provide resources and guidance to help entrepreneurs "turn their skills into a successful business," he said. Tarkenton collaborated on the curriculum to infuse it with his real-world experience as an entrepreneur, and will also teach a module in the course. Dozens of people from around the country have signed up, according to the program's administrators. The most enrollees so far are from California and Georgia. Fran Tarkenton was inducted into the Hall of Fame in 1986. Why is Tarkenton so passionate about this? "Most people are surprised to learn that I've also been an entrepreneur all my life," said Tarkenton, who was a quarterback for the Minnesota Vikings and the New York Giants in the 1960s and '70s. "I had a paper route when I was 7. I've worked on a chicken farm and I've also sold insurance." When he was drafted by the Vikings in 1961, his starting salary was just $12,500. "So I worked every off season," he said, including stints as a sales clerk for a shipping company and a marketing job with Coca Cola (KO). That last job showed him that he didn't want to work for a big company. "I wanted to build my own," said Tarkenton. He's launched 20 companies over the years, in insurance and technology, and also consults with small businesses. "I've even tried a fast food restaurant in 1967. I didn't have a business plan for it and I borrowed money, more than I was making at the time," he said. But it taught him a lesson: "I've never taken out debt again but have always bootstrapped my businesses," he said. It's those kinds of stumbles that Tarkenton hopes students in his program will be better prepared to identify and avoid. He said launching the entrepreneurship program "is the most gratifying thing I've ever done." "I want to teach entrepreneurship to more young people and help them realize their American dream," said Tarkenton.